If you notice a bump on the lips, gums, or mouth of your puppy it might be a common condition known as oral papilloma or viral warts. Canine Oral Papillomas are small benign tumors of the mouth that are caused by the papilloma virus and usually affect dogs under the age of 2. Oral Papilloma is contagious from dog to dog (but not dog to human) by direct contact. 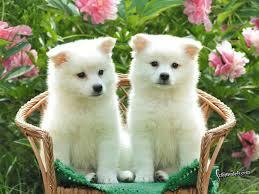 It usually occurs by dogs greeting each other, sharing toys, or eating/drinking from the same food or water bowl. The incubation period can be from 1 to 2 months, so it may be hard to determine where your pet acquired the virus. The main reason the Oral Papillomas affect puppies is that some may lack a mature immune system. As a dog’s immune system strengthens, it produces antibodies against the virus and the warts can disappear. However, it is important to realize that the viral warts can come back in dogs with weakened immune systems. The best natural treatment for oral papillomas is to build your pup's immune system using natural holistic supplements and a hypoallergenic, low inflammatory diet. Many diets for example, are very high in carbohydrates and contain food allergens which can weaken a pet's immunity. Supplements such as QuentaSans, Immune Harmony, NotaSan, Power Probiotic for Pets and Silver Immune help to strengthen the immune system and protect your pet. In addition to the natural remedies for oral papillomas, using a hypoallergenic diet will also help. Food allergies can cause inflammation and weaken a pet’s immune system. If you include your current diet on the Ask Ariel order form, our nutritionist will send a diet suggestion on the packing slip with your order.